The same electricity that powers homes in Boca Raton, Florida, is also one of the most dangerous elements encountered by residents and workers. Utility workers, residents, construction workers, landscapers and homeowners can all face injury or death from electrocution, if the environment is not safe. Any accident in Boca Raton involving electricity can leave a victim with medical bills, pain and suffering, the inability to work, or other damages. The Legal Team at Frankl & Kominsky are available to help victims who have been injured in electrocution accidents and try to provide assistance in getting them the compensation they deserve. Electricity is all around us. Florida Power & Light services approximately 4.7 million customers in Florida, with more than 67,000 miles of distribution lines and 6,500 miles of transmission lines. That means that every resident of Boca Raton is within a few feet of an electric line at all times during the day. The vast majority of electrical injuries are workplace accidents. Anyone who works outside, such as construction workers, utility workers, and landscapers, are at immediate risk for injury. However, electrical injuries can also occur in offices, medical buildings, and residences. In other words, no one is immune from the potential of an injury due to electrocution. The risk of injury from electricity increases when there are downed power lines or faulty equipment. Bad equipment can cause problems at any point on the transmission line, from main line to the feeder lines to inside wiring. Electrical injuries are serious. The human body conducts electricity, allowing the current to pass through the body easily. Contact with electricity can damage the skin and the internal organs, and can even cause death. External burns can be severe, requiring treatment, but even if the electrical burn appears minor, it could indicate severe internal damage. The heart, muscles, and brain are most often impacted by an electrical injury. Extreme contact with electricity can even cause death. Electrocution, or any injury from electricity, can have multiple layers of cost associated with it. Victims in Boca Raton can face large medical bills, including doctor's fees, prescriptions, and even hospital stays. Those who suffer electrical injuries often are forced to miss work while they heal, which causes difficulty for families. Additionally, victims may experience pain and suffering, trauma, and other impacts from an electrical injury. 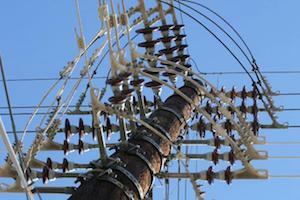 Victims of electrical injuries may be entitled to compensation from the accident. The power company, the owner of the property, the maintenance contractor, and others all have responsibility for ensuring a safe environment, and it takes a strong legal team to try and identify the right approach to help victims. The lawyers at Frankl & Kominsky are ready to assist in electrocution claims. Frankl & Kominsky’s attorneys are prepared to try and help those suffering from electrical injuries or their families, and will try to assist in pursuing justice. We are available to represent victims in Boca Raton and throughout South Florida, including Delray Beach, Boynton Beach and Lake Worth. Call us today for a confidential consultation, at (561) 609-1948 or contact us online. We speak Spanish and Creole.